People First works closely with a network of partners who share our vision of creating a better way to work. People First has a range of partnerships with companies who offer complementary products and services, such as payroll and benefits companies. We work with these partners to sell and service our product throughout North America, the UK and Europe and Asia Pacific. Take a look at some of our partners below. ClearTrack HR is a full-service employee benefit communication, administration, and enrolment solution. Our founders have more than fifty years of combined experience in the benefits industry. At ClearTrack HR, we strive for innovative and efficient solutions that are customized to fit your unique circumstances and needs. We are a group of professional technology consultants specializing in human capital management consulting, business process optimization, and data integration services. Our services allow your organization to save time, cut costs, and manage employees with reliable technology. MPAY is a software company that provides enterprise employee management to any size business through our payroll, compliance and hiring solution. We help businesses improve cash flow, reduce risk, and give them a competitive edge in managing and retaining high-quality employees. We specialise in helping people get the most out of their workday. ConnectDott Pte Ltd is a Singapore based company specialising in Software Development, Infrastructure Management, Security Infrastructure design, Quality Assurance and Implementation. Burcamp Advisory Group, based in San Antonio, Texas, specializes in HCM, CRM, and ERP sales, development and implementation for Business, Industrial, Healthcare, Retail, Auto, and Manufacturing. We are a trusted software provider for Businesses. Our services also provide custom application development and training for clients. Document Logistix creates document management solutions that help to eliminate the use of paper, improve records management and automate business processes. Document Logistix provides uniquely affordable and scalable document management software (either on-premise or cloud) to an ever expanding range of SME and blue chip clients around the globe. Founded in 2006, headquartered in Singapore and listed on the Australian Stock Exchange, PayAsia is a leading provider in the Asia-Pacific region for Fully Managed Payroll and Cloud HR services and solutions meeting the demands of clients for process and technology-driven regional solutions and consolidation. 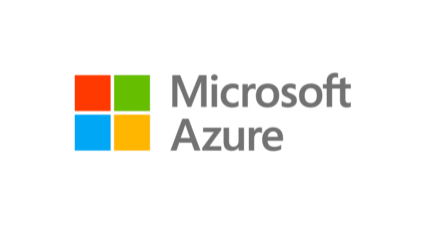 People First is a Microsoft Gold-Certified partner, demonstrating our best-in-class capability within Microsoft Azure. Cronofy deliver tools and services that allow businesses, groups, and people to effectively organize their time. Managing time should take minimal effort and consider a person’s whole life with complete respect for their privacy. Google Maps is a web mapping service developed by Google. It offers satellite imagery, aerial photography, street maps, 360° panoramic views of streets, real-time traffic conditions, and route planning for traveling by foot, car, bicycle and air, or public transportation. Designed and built in the UK, iTrent is an award-winning integrated HR and Payroll solution. Accessible anytime, anywhere, iTrent makes it easy for you to manage your people and their pay, no matter what your industry or organisation size. 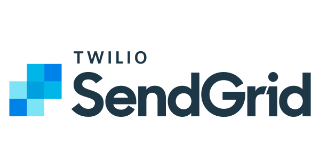 SendGrid is a leader in trusted email delivery. Over 82,000 paying customers like Spotify, Uber and Airbnb trust SendGrid to send over 50 billion emails every month. Do you share our vision of a better way to work? Looking to work with an HR software company with a difference? As People First has a global reach, you can use the opportunity to enter new markets, offer complementary products and grow your existing customer base. We offer a number of partner types and a full package of product and sales and marketing enablement and support to help you get the best from the relationship. Please fill in our contact form and we’ll have a member of the team get back to you.